This past fall, I discovered that I love walks. The increased focus, mental clarity, and general improvements in my mood that I gained from a few daily walks was like unlocking a cheat code to life. It became my secret weapon—a key part of a productive, enjoyable day. Ultimately, this ties into another thing I love doing: digging into the “success secrets” of people that I admire. Realistically, I know that adopting my favorite blogger’s planning routine or eating their preferred breakfast will not imbue me with their success overnight; after all, different things work for different people. However, I love discovering the little “hacks” that help make people’s lives easier and more productive. With that in mind, I set out to learn how successful entrepreneurs spend their mornings, and how their routines help set the right tone for the day ahead. Here are some of my favorites. If you choose to integrate some of these strategies into your day, be sure to let me know on Twitter @BrianaMorgaine—or share your own morning routine with me! How do successful entrepreneurs start the day? The “monkey mind” is a Buddhist concept that describes the way our minds can jump, chattering, from thought to thought. Through meditation, we can seek to calm this frantic mental noise—and this is how Kristie Garduño of Giving Soaps chooses to start her morning. Some entrepreneurs prefer to engage in a longer meditation habit to focus their energy before the day begins. “Most of my day begins with at least a 20 to 30 minute meditation, which affords me the opportunity to garner energy and focus before I put one foot on the floor,” says Leah Gore of Heavenly Garden Spa. Starting out with a longer meditation session makes it possible for Gore to take on the workday. “I’ve found it to be an increasingly important and necessary activity to assist my effectively wearing the many hats I find myself wearing these days,” she says. Don’t feel that you have time for a lengthy meditation session? Don’t sweat it—plenty of entrepreneurs feel that even a five minute session is beneficial. She also adds how important it is to find a routine that works and stick with it. “I’ve noticed a direct correlation between how I start my day, and how productive I am—so sticking to a morning routine is very important to me,” she says. Starting your morning mindfully doesn’t have to mean meditation. In addition to her other morning activities like running, answering emails, and engaging with clients on social media, Emily Barden of Twill likes to start her day by keeping a gratitude journal. She also makes a habit of preparing tomorrow’s outfit and packing her bag the night before, so that she’s ready to go in the morning. Without a clearly defined plan of what “success” looks like to you, it will be hard to measure whether or not your day has been successful. That’s why Bethany Mooradian of Queen of the Random Job takes time to organize her thoughts. “I organize my plans and define what a ‘successful’ day looks like. Tools, products, and technology don’t matter to me as much as my mindset does,” says Mooradian. As an entrepreneur, you’re likely somewhat competitive by nature; after all, you created a product or service because you felt that you could do it faster, smarter, cheaper, or somehow better than the competition. Competitive drive is so essential to entrepreneurship that it often spills over into other aspects of entrepreneurs’ lives. “Since I’m pretty competitive at my startup, I’ve taken that ferocity to my morning workouts too—what began as training for my first 5K just a year and a half ago is now serious training for a half marathon,” says Dana Marlowe of Accessibility Partners. Focusing her competitive energy into a workout also helps Marlowe mentally prepare for the day ahead, before work actually begins. “I plug in my headphones to an indie music playlist, learn some new songs, and get myself into the groove before I hit my inbox,” she says. However, some entrepreneurs use their breakfast as a way to ease into the workday and optimize their productivity. Finally, some successful entrepreneurs forgo breakfast in the traditional sense altogether. Max Page of Coupon Hippo is a big fan of starting his day with bulletproof coffee, as opposed to a standard breakfast. Before diving into the workday, Gene Caballero of Green Pal makes time for a creative hobby. It can be tough to fit in physical exercise in the mornings, let alone mental exercise as well. However, Luke Knowles of Kinoli has implemented a morning routine that allows him to both engage his body and mind quickly. Most people dread their morning commute, and entrepreneurs are no exception. However, if you have the option of taking public transportation, it doesn’t have to be wasted time. Speaking of extra learning—can’t take public transportation for your commute? Consider listening to podcasts or other informative content while you drive. You might not be able to dive into the workday just yet, but you can still engage in your industry through additional learning, as well as participate in some mental stimulation—so it’s a win-win. How does Lavis deal with this? By finding the time of day where he is most productive, and structuring his morning routine around it. There is no one optimal morning routine for everyone. Ultimately, it’s a process of trial and error, and determining what aspects of your morning routine set you up for success, and which detract from your productive output. How do you know when you’ve hit on a routine that works for you? 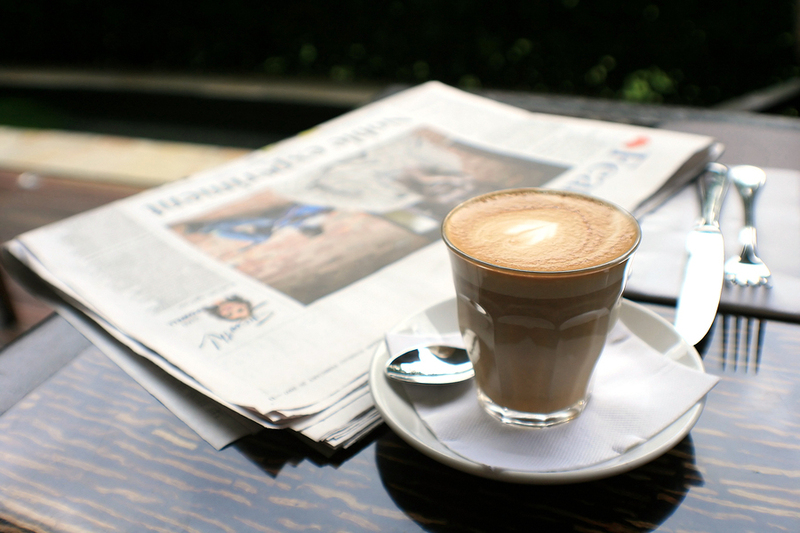 What do you do every morning to make sure your workday is productive and enjoyable? Let me know in the comments, or on Twitter @BrianaMorgaine.